P2P torrent clients such as μTorrent, Transmission, etc., have long been popular for downloading media content from the Internet. But times have changed a lot, and streaming media is more demanding these days compared to downloaded media. The torrent clients mentioned above don’t let you stream media files directly without downloading the full content first. Such a feature might be useful when you have a fast Internet connection and you don’t want to wait for a whole video to be downloaded in order to watch it. 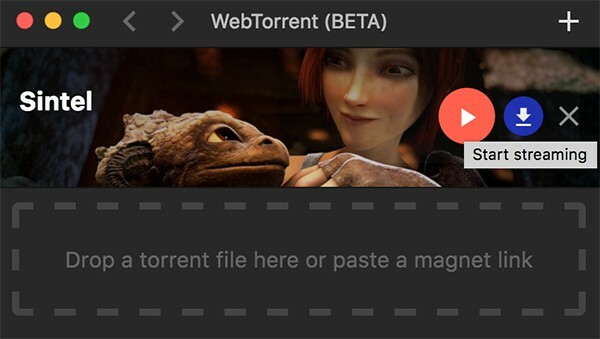 In this article, we’ll explore different ways to stream a video torrent directly from a .torrent or magnet link on your computer without having to download it first. WebTorrent Desktop (Free): WebTorrent Desktop is a torrent client for Windows, Mac and Linux that allows you to stream torrents without having to download them first. It is a lightweight torrent client with an elegant UI, which is free and open source, without any ads. To stream an audio or video torrent, just add it to WebTorrent via .torrent file or magnet link, and click on the Play button. While playing, you can also seek or skip to a particular portion of the video. WebTorrent automatically reprioritizes which pieces are to be fetched from the P2P network based on the seek position, giving you a seamless streaming experience. Vuze Plus (Paid): Vuze is one of the most popular torrent clients with several cool features like integrated torrent search and a built-in media player to play your downloaded torrent files. However, upgrading to Vuze Plus allows you to stream media torrents while they are still downloading to your computer. 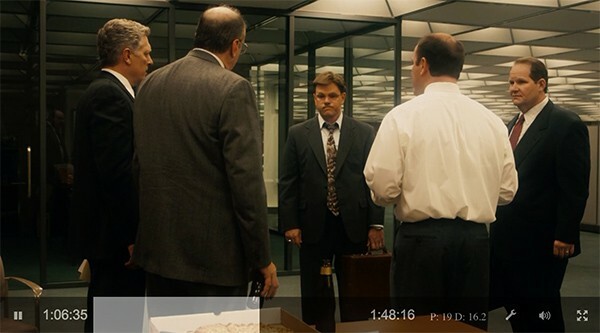 When a supported video torrent is added to Vuze, a green Play button is enabled while the torrent is selected. You can start streaming the video by selecting the particular torrent and clicking on the Play button. Tribler (Free): Tribler is a torrent client that focusses more on anonymous torrent downloading using Tor-inspired onion routing technique. However, apart from anonymous downloads, Tribler also offers a streaming feature that allows you to play videos from torrents directly before the download has been completed. To stream a torrent using Tribler, add a torrent to the client by either by browsing a .torrent file or pasting a magnet link. Once the torrent is added, you can click on the Downloads tab, select the torrent and click on the Play button. The video will start streaming using the built-in video player. There are a few third party browsers which include support for streaming video torrents as a built-in feature. Alternatively, there are also third party plugins available for popular browsers such as Chrome or Firefox, to add such functionality. Torch browser is a customizable Chromium-based web browser with a lot of cool built-in features like media grabbing, music playback, games, download manager and more. One such feature is the ability to download torrents, and even stream them before download has completed. To stream a video from a torrent using Torch browser, open the app and click on Torch Torrent icon at the bottom of the home page. Click on the Add Torrent button, browse a .torrent file or insert a magnet link. As the torrent starts downloading, click on the folder icon when it appears over the thumbnail image for the particular torrent, and click on the Play option. Browsers like Chrome don’t include native support for streaming torrents. However, you can add that feature by installing a third party browser extension that allows you to do so. 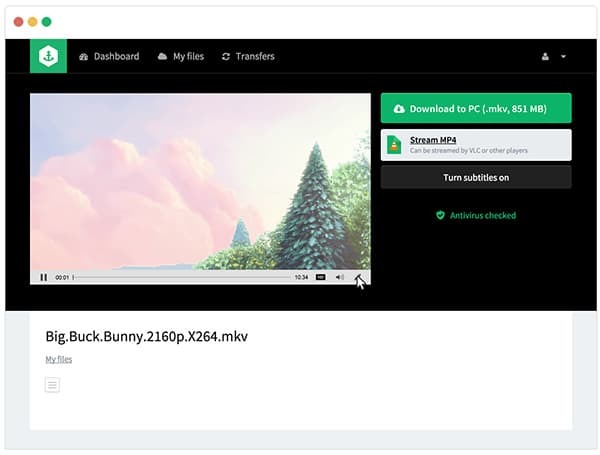 Torrent Stream is a Chrome app that allows you to stream H264 videos directly from torrents. Being a browser extension, this does not require any additional software to be installed on your system. For streaming torrents, just install the app from Chrome Web Store and add a magnet link into the app window. If you want to open torrent links using Torrent Stream, you need to install the Helper extension too. 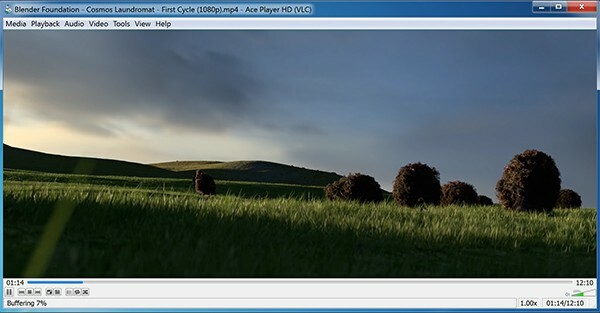 Ace Player HD (Windows): Ace Player HD is a fork of the popular VLC Media Player that has been modified to stream video files from torrents. It is a part of the Ace Stream package that includes more apps and tools. To stream a torrent from a .torrent file, just click on Open File option from the Media menu and browse the particular file. If you need to stream from a magnet link using Ace Player HD, you need to convert it to a .torrent file. Rox Player: This is a video player that supports a number of popular and not-so-popular video formats. But one of the key features include its ability to stream videos directly from the Internet, including torrents. In addition to P2P, the player also supports protocols like IPTV and DHT. All of the torrent streaming solutions mentioned above use the P2P protocol, which means your streaming experience is directly affected by the number of peers connected to the network. If a particular torrent has less number of seeders, the video may keep on loading even though your Internet connection speed is fast enough to stream the torrent. Some cloud based services allow users to download torrents and stream them from their online accounts. These services usually download the torrents to their own servers and allow their users to stream media content directly from the servers. Streaming in such cases is independent of the number of connected peers, since the entire torrent is downloaded first. Below are some of the services that allow users to stream torrents indirectly by downloading it to their servers. Fetchr: Fetchr.tv a paid online that allows you to download torrent files and save them to your account. Once Fetchr has finished downloading a requested torrent to their servers, it will be accessible from your account, from where you can stream it. Fetchr uses high speed servers, because of which the time taken to download a torrent is minimal. Also, if a particular torrent has been already requested by another Fetchr user, it will be instantly available for you to stream, since the torrent has already been downloaded to Fetchr’s servers. Bitport.io: Bitport.io is another service similar to Fetchr, but allows users to create a free account which provides you up to 2 GB of cloud storage for downloading one torrent. Once the torrent has been downloaded to their Bitport’s high-speed servers, you can enjoy streaming them from your account. If you need more storage space, or want to download and keep more torrents simultaneously, you can upgrade to a paid subscription plan. Now you know how to stream video torrents without downloading them locally to your computer. Let us know which solution suits you best.